“Nobody will ever deprive the American people of the right to vote except the American people themselves,” Franklin Delano Roosevelt once said, “and the only way they could do this is by not voting.” It may be said that the need for every American to vote, and to realize that all votes matter, is stronger than ever. Yet, research shows that the voting turnout in the United States lags well behind most developed countries.But BYU’s Office of Civic Engagement wants every student to realize how easy it is to register to vote, and how important it is that they vote. Thus, they’re hosting a voter registration drive. From September 26-29, 10:00 to 3:00 each day, volunteers will be available in booths both inside and outside the Wilkinson Student Center to help students register to vote or get an absentee ballot. The OCE has partnered with Turbovote, a company that provides an easier way to students to register and vote. The process is intuitive and easy, and iPads will be provided at all the voting booths for user convenience. 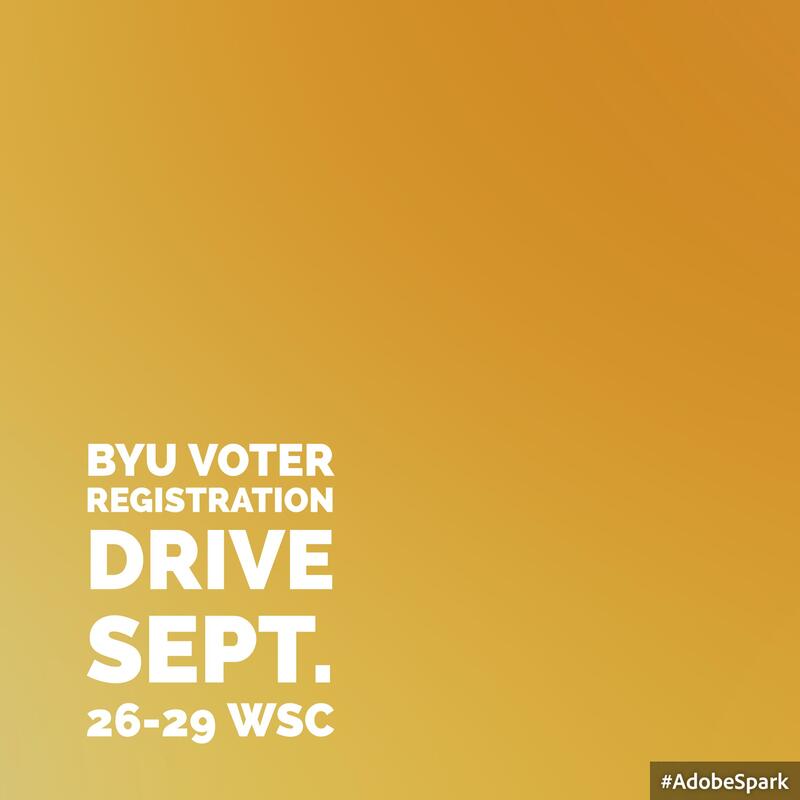 Or, you can sign up right now at byu.turbovote.org. The mission of the Office of Civic Engagement is to provide students and faculty with the appropriate skills and meaningful opportunities to become engaged in their respective communities. They seek to promote civic service and to encourage everyone to find ways to solve the problems around them. To learn more, visit here.